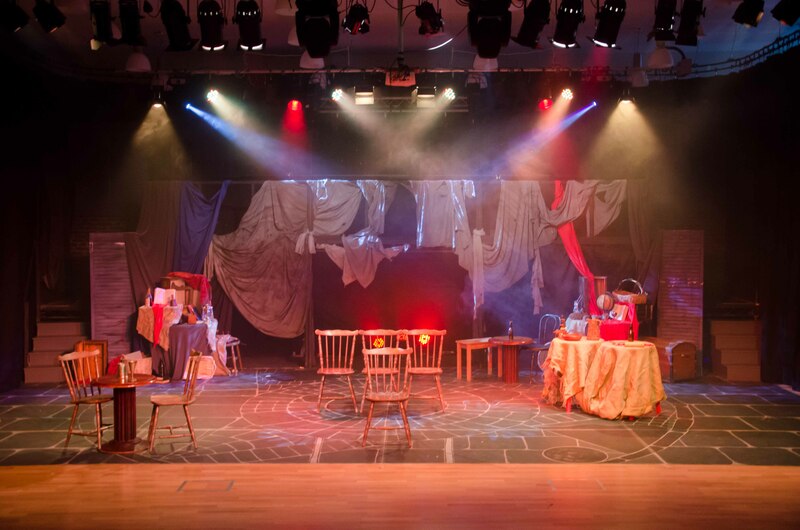 We aim to work and collaborate with as many other passionate and theatre loving individuals and companies. 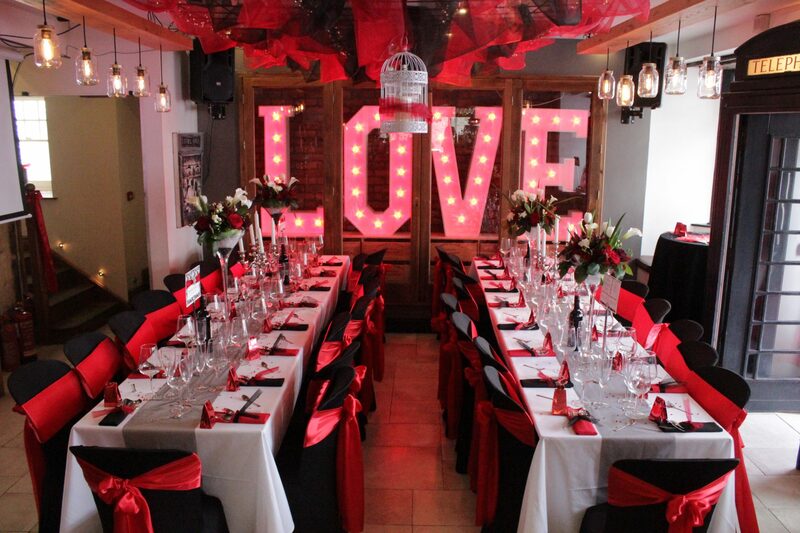 We would be delighted to help If you require any advice or assistance with your next Event or Production. If you’re looking for help or assistance in the form of a Director, a Choreographer, a Musical Director, Photographer or Technical help for your next production then we are here to help. 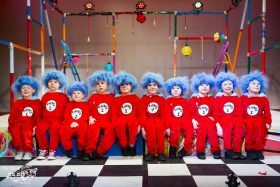 We have produced a large number of Events, Corporate performances, Cabarets, Parades, and always aim to make your event bespoke and unique. We can supply individual roles within the Production or an entire “Behind the scenes” team to help and assist with your Event or Performance. 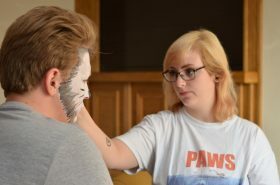 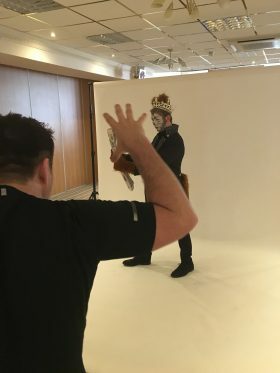 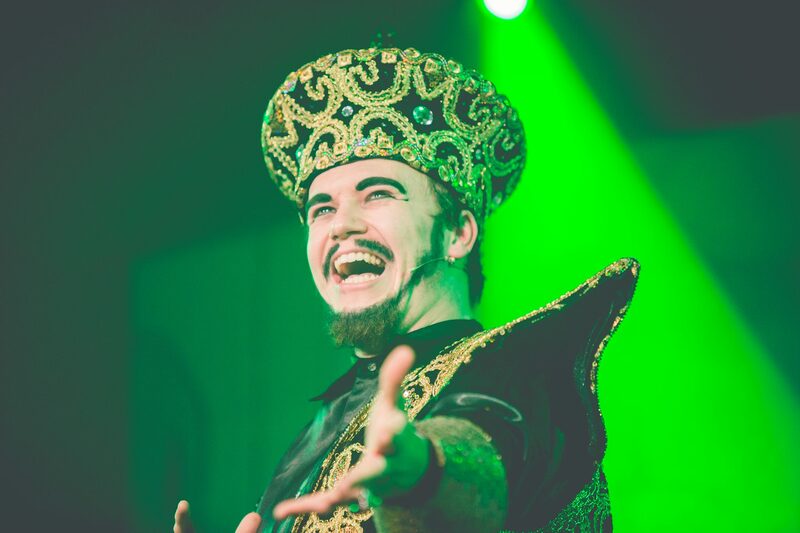 We have access and connections to an array of professional actors, celebrities, musicians, Directors and theatre technicians to available to hire. 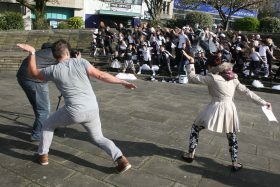 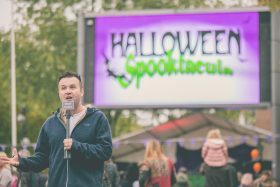 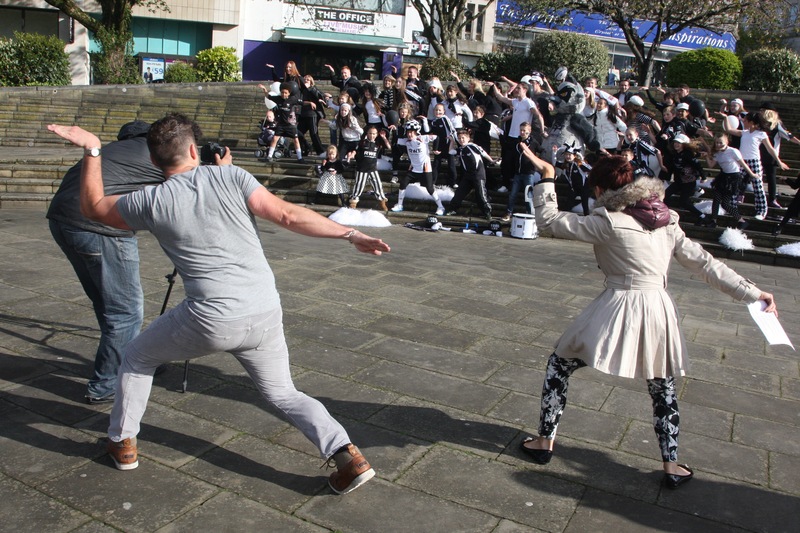 We also have vast experience in filming and shooting Flash mobs, Children’s Television and Vlogger type shows, plus Promotional videos for Corporate Companies, Campaigns, and up and coming Theatre Productions. We can supply Videographers and Editors to help create media content to grab audiences and followers for your production, event or company. 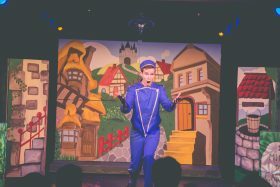 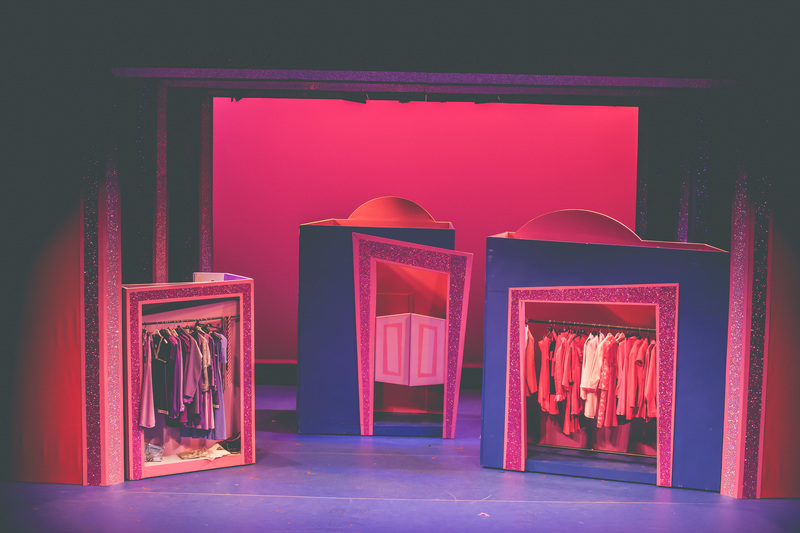 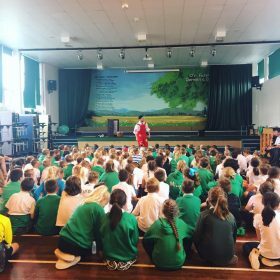 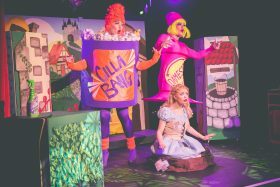 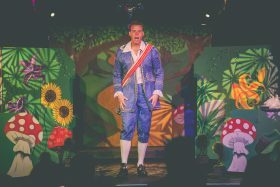 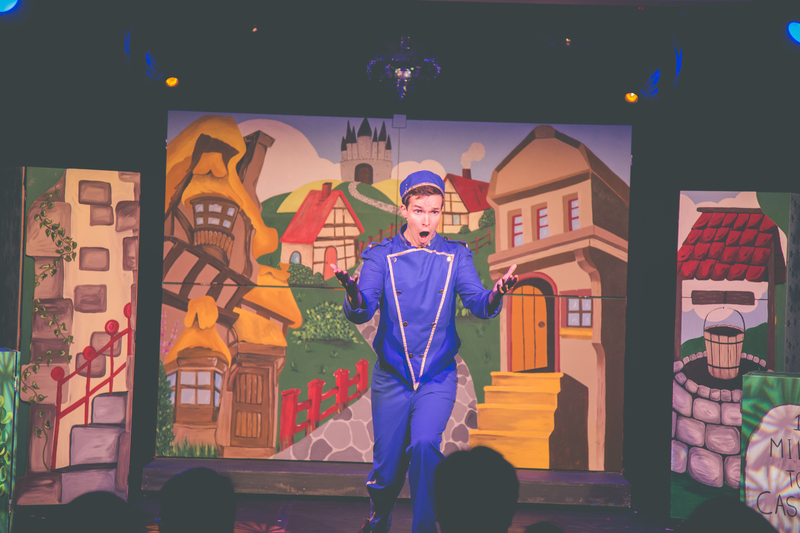 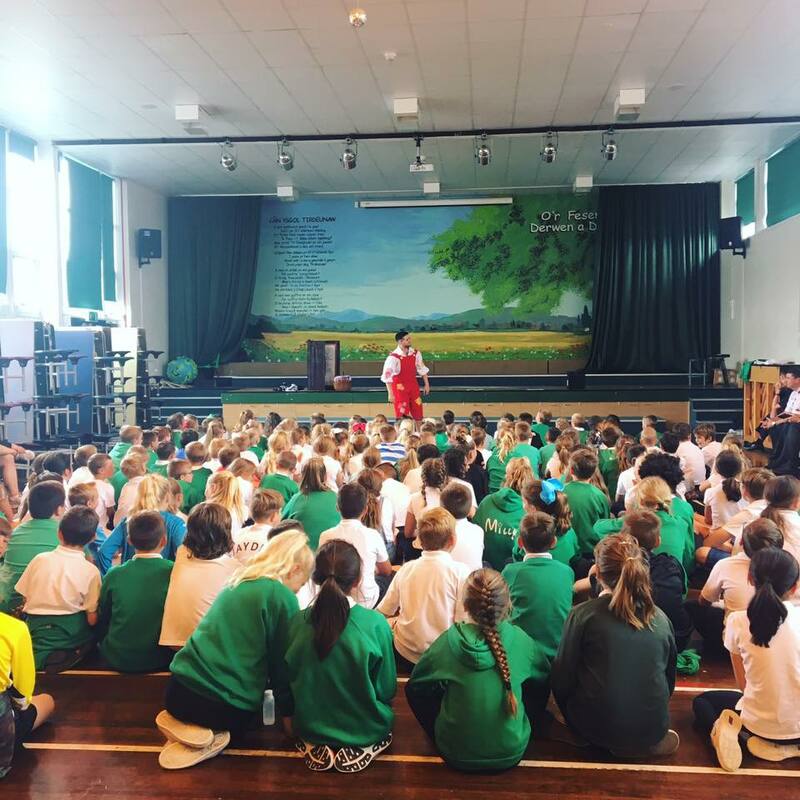 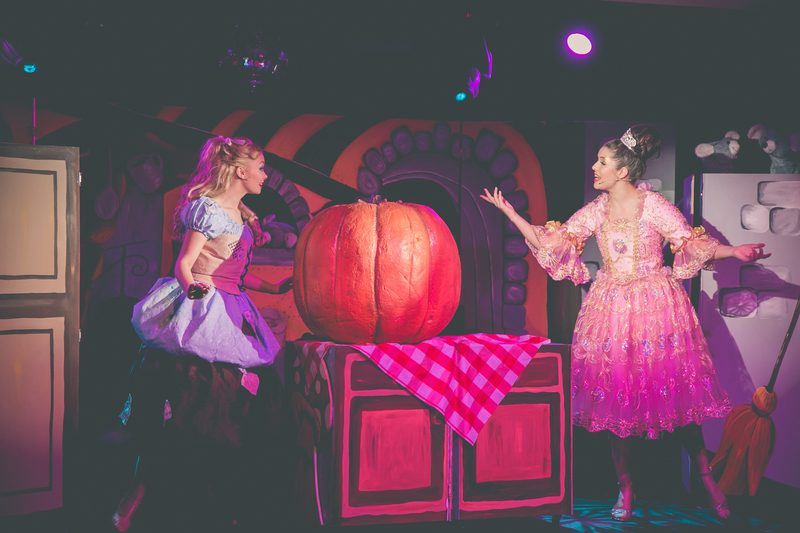 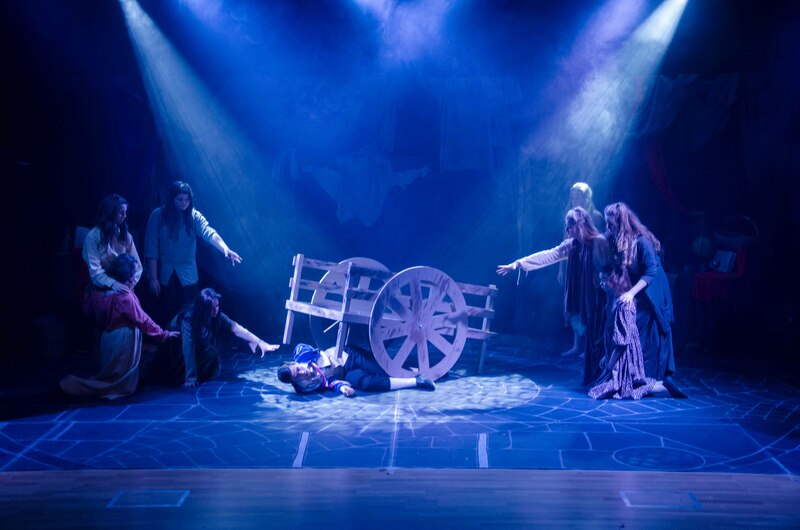 We have a variety of sets and props for a selection of small and large scale Plays, Musicals and Pantomimes that can be delivered all over the UK for hire. 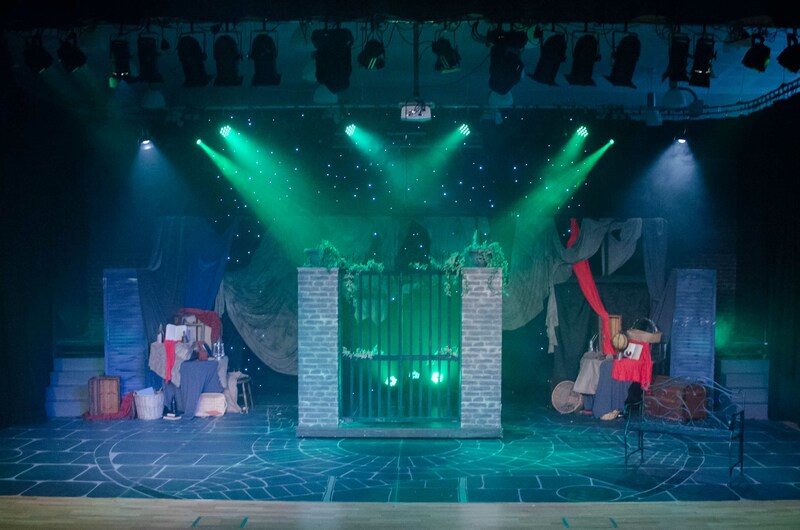 We are able to cater to your production demands by offering the hire of full set packages, reduced set packages or single set element to a number of companies, amateur / youth groups, and school productions. 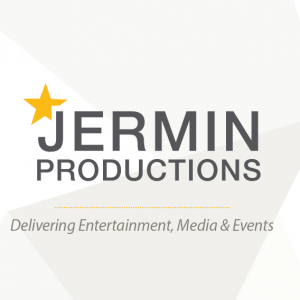 For more information on the availability of our sets or for further enquiries please email enquiries@jerminproductions.co.uk or alternatively contact us on 01792 458855. A large set suitable for large scale productions of this brilliant musical. 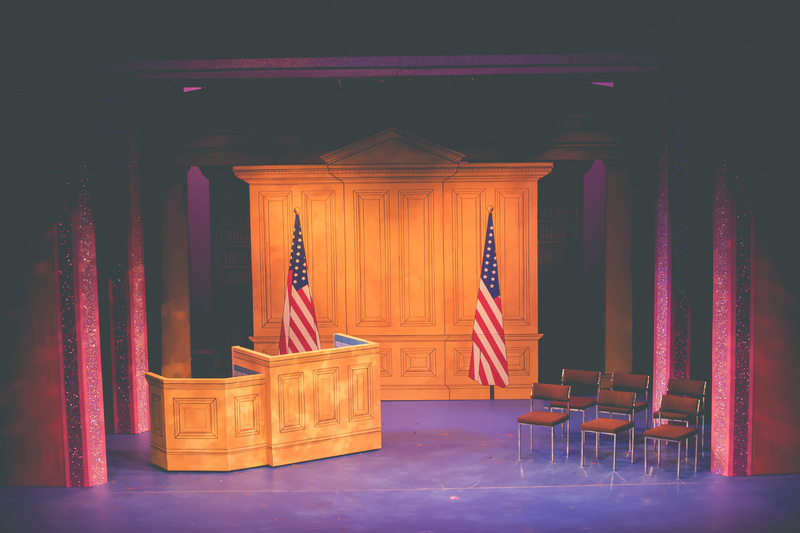 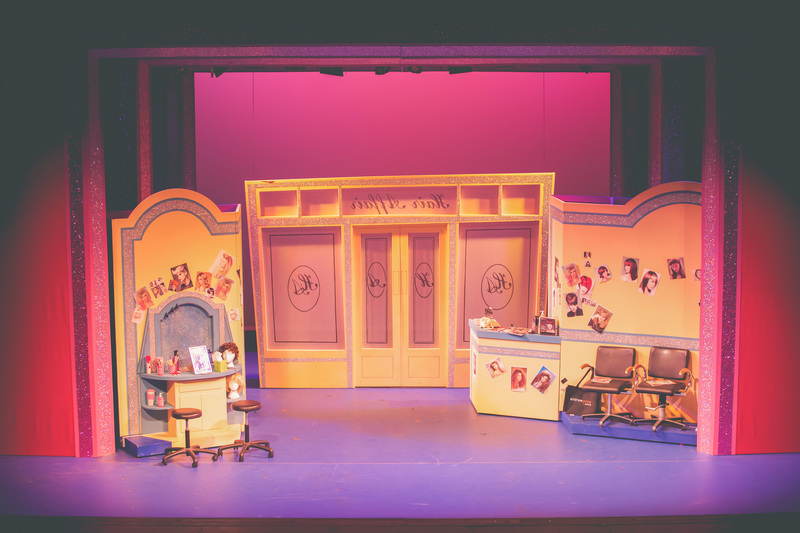 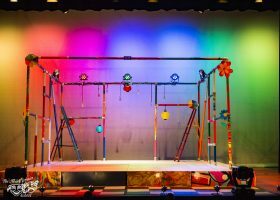 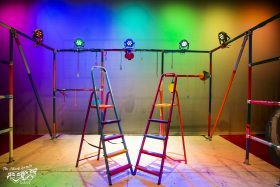 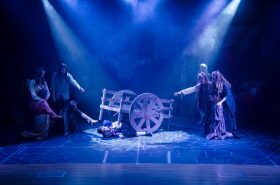 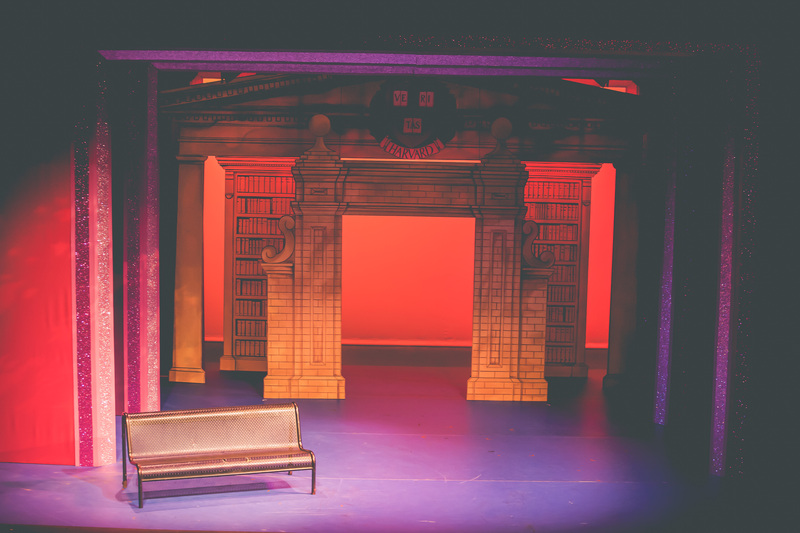 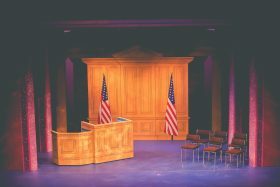 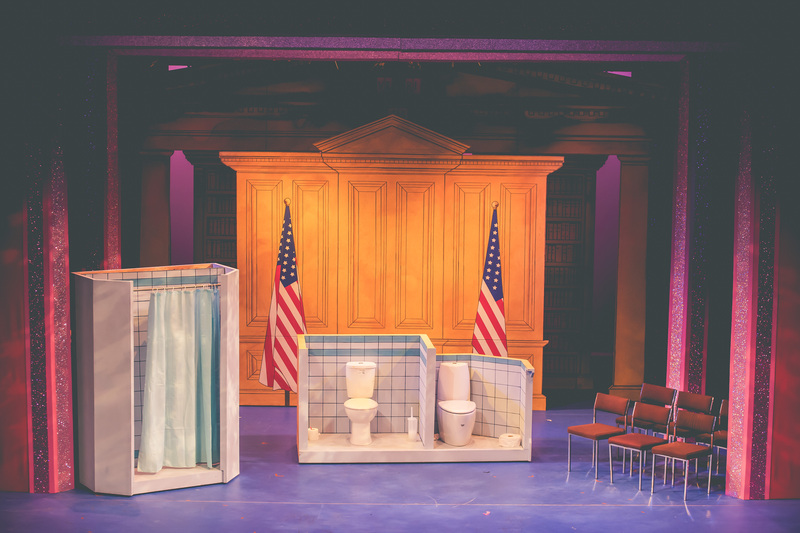 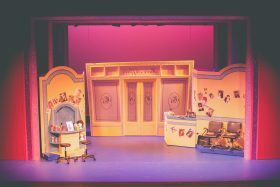 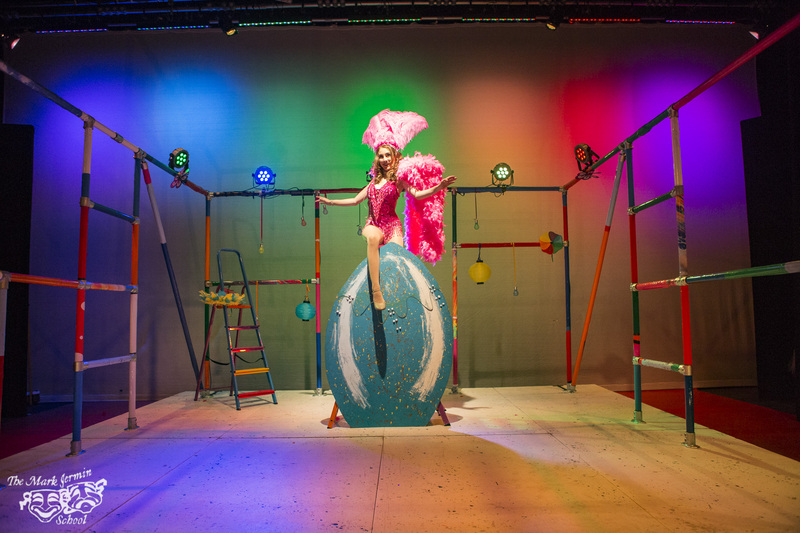 The set is multifunctional and can easily transport audiences in between scenes / songs / locations, to allow the show to flow with pace exactly as it is written without major scene changes. 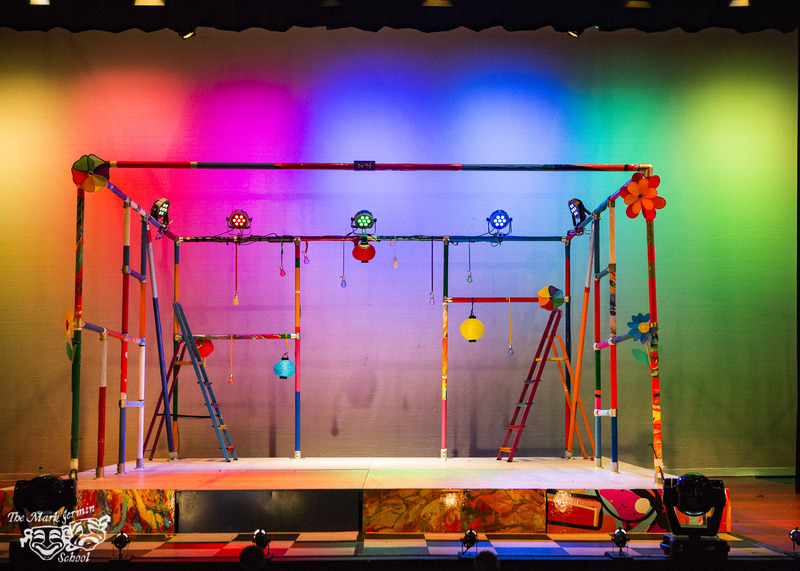 The set includes flying pieces and trucks. 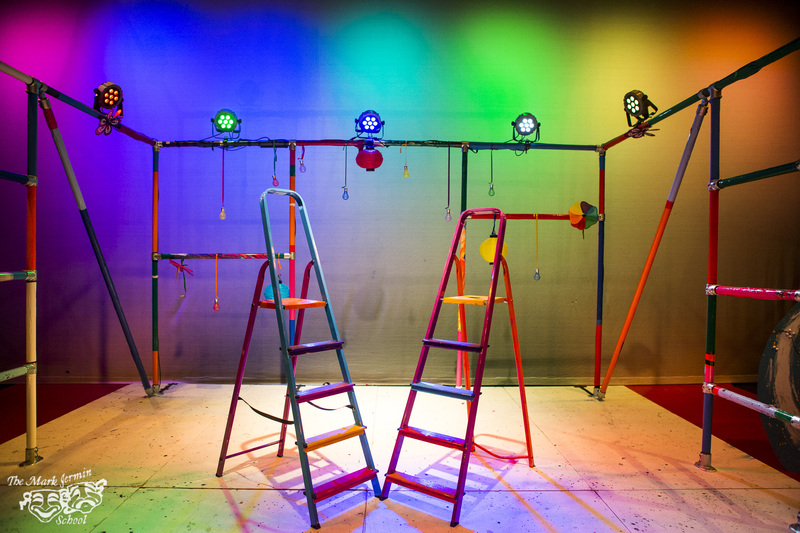 This specially designed set is perfect for any amateur production and can also be scaled down to suit school versions. 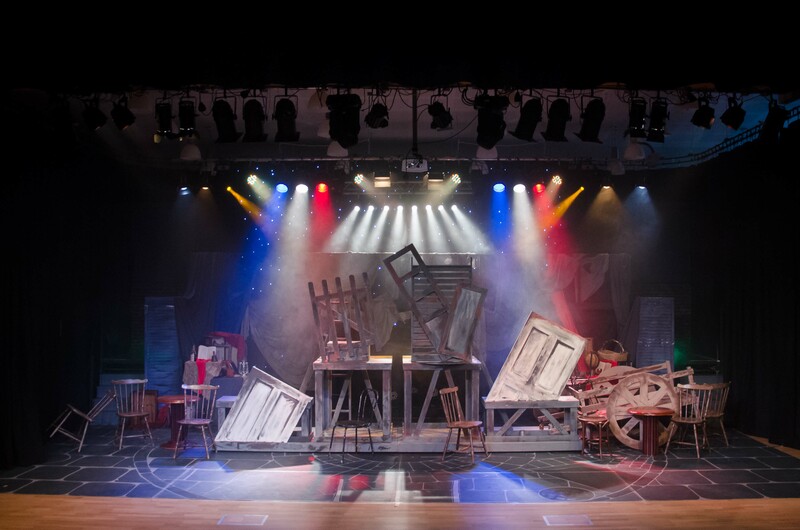 It features elements from the West End design and includes working barricade. 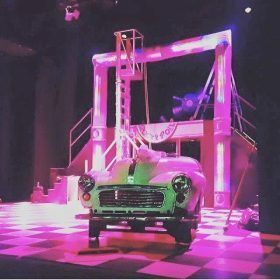 This fun and dynamic set includes checkered board style floor, human size juke box and working “Greased Lightening” car. A set perfect for a mini Pantomime that suits smaller performance venues and even school tours. 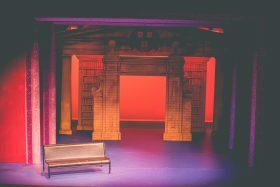 The versatility and agility of the set is it’s biggest strength as well as it’s warm and visually enticing artistic design, the set will work a multitude of locations and venues and requires limited stage hands as actors are able to handle the set, mid performance, with ease. 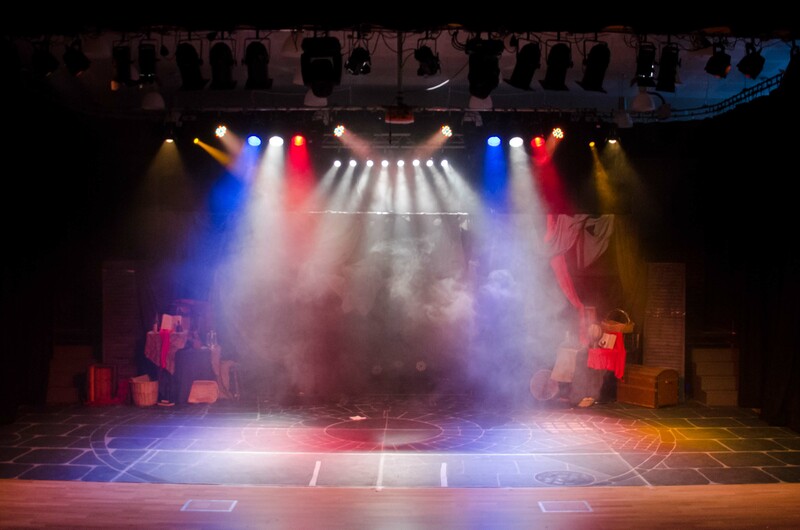 We have a breakdown of each set package and its elements ready for you to view, please contact us for further details. 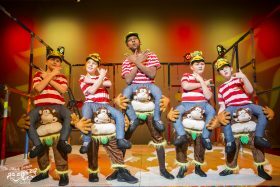 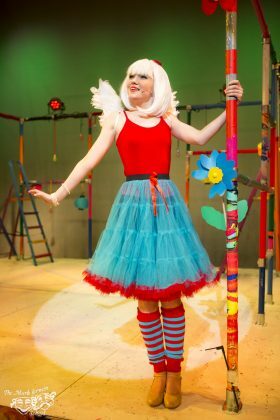 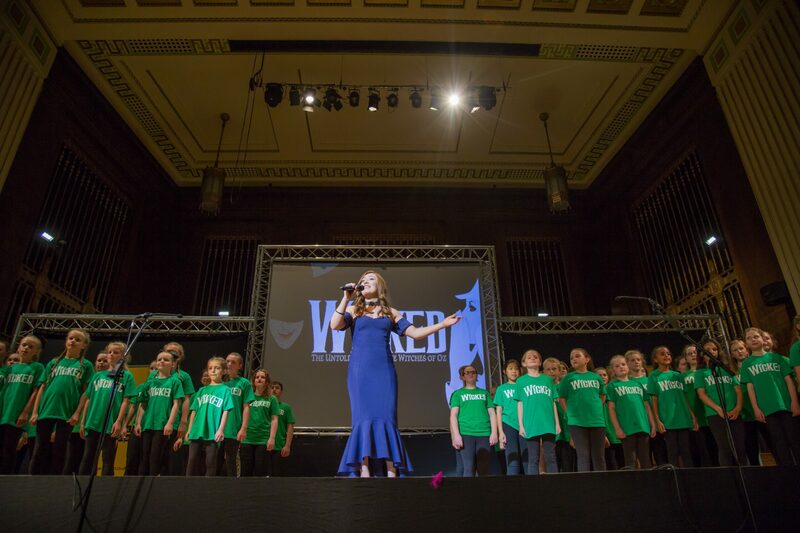 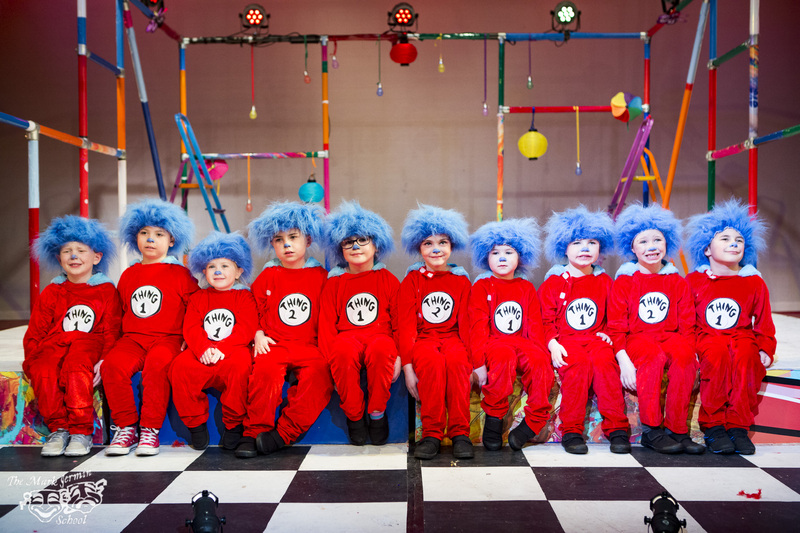 We pride ourselves on producing innovative and exciting theatre for every age group and to suit and fit into a multitude of venues and spaces. 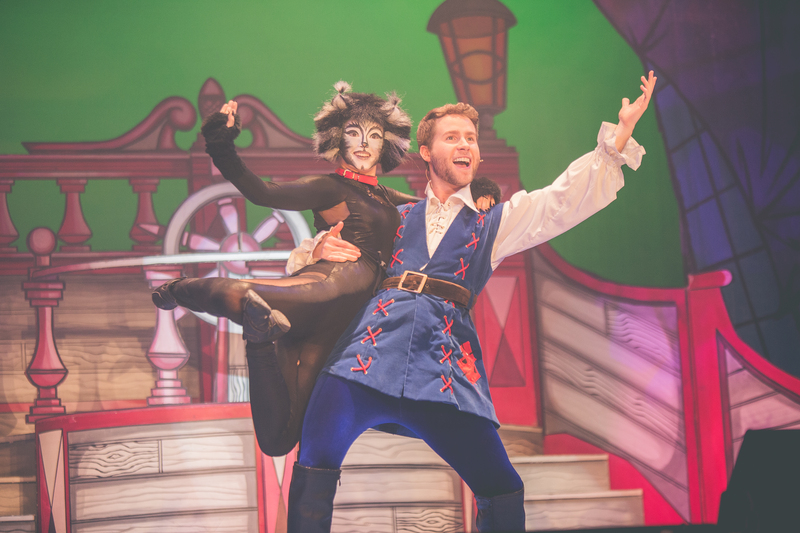 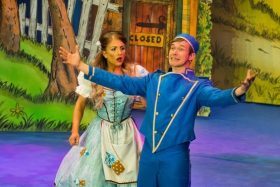 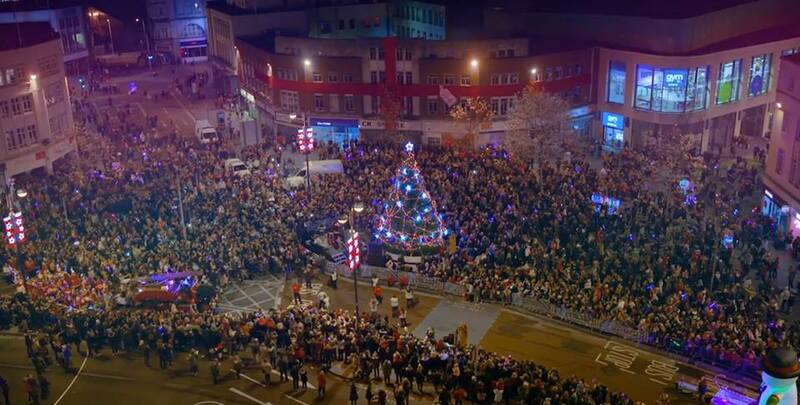 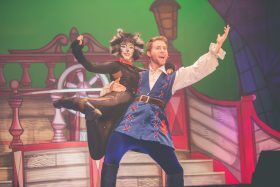 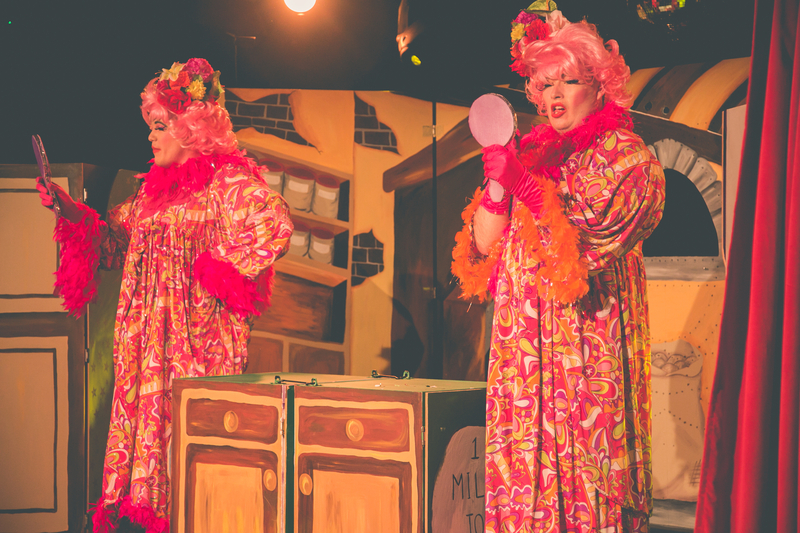 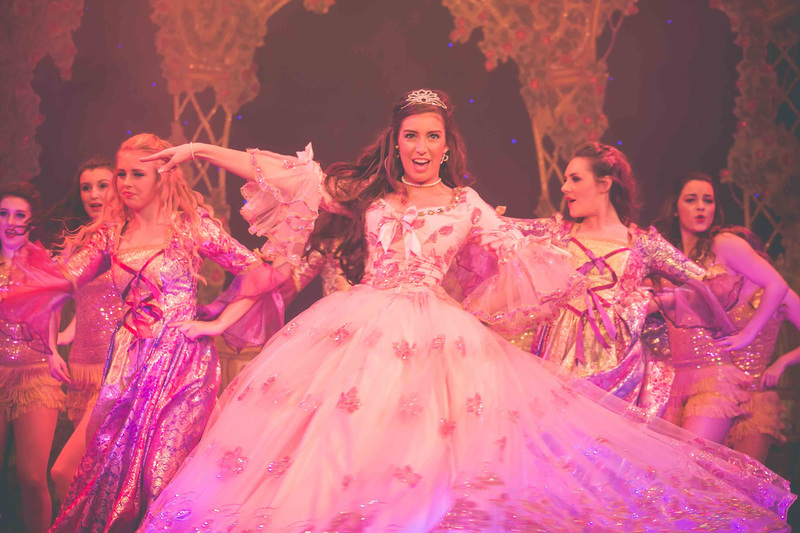 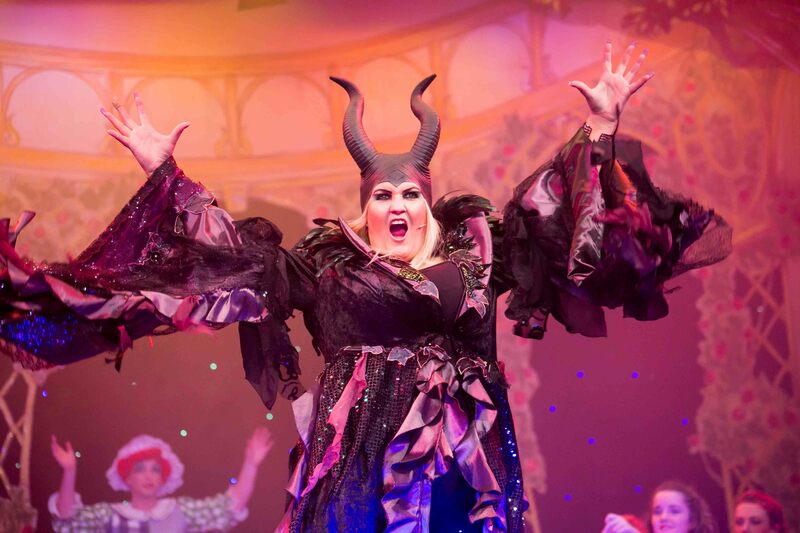 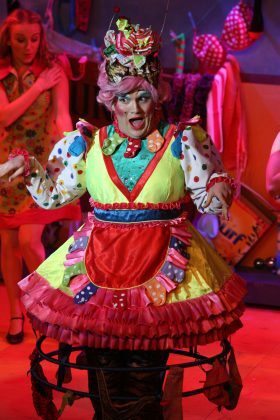 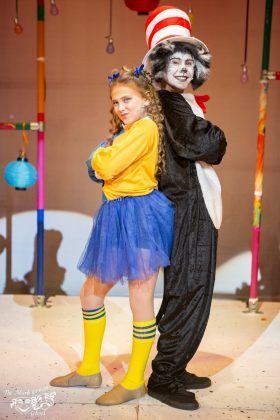 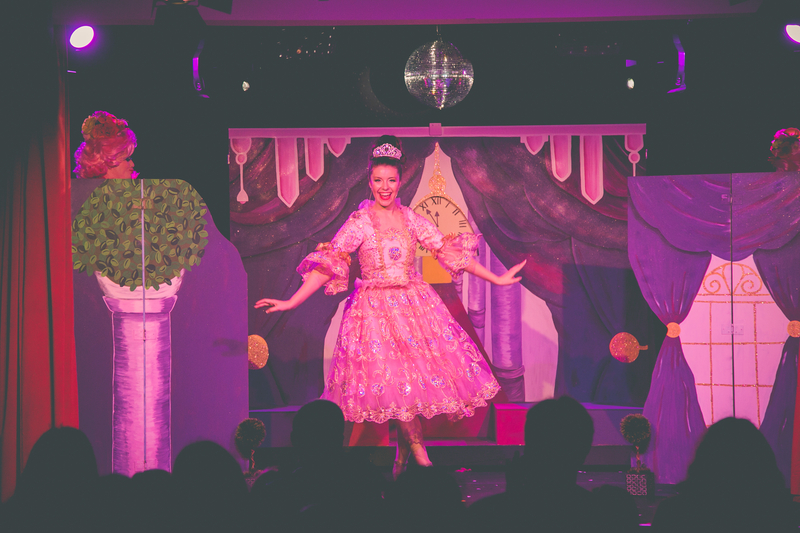 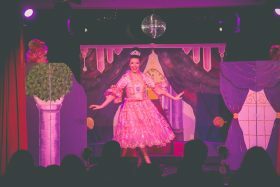 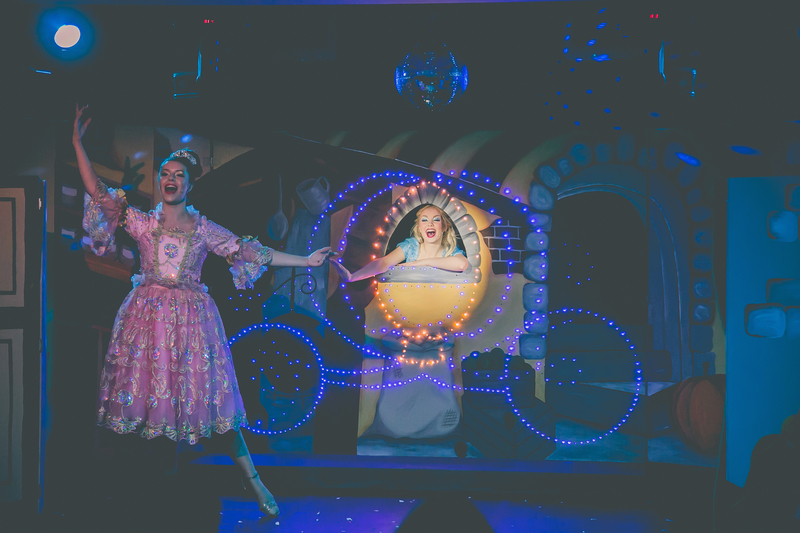 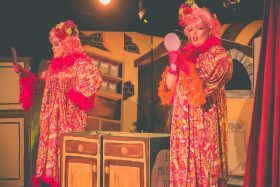 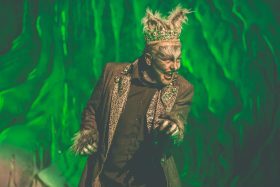 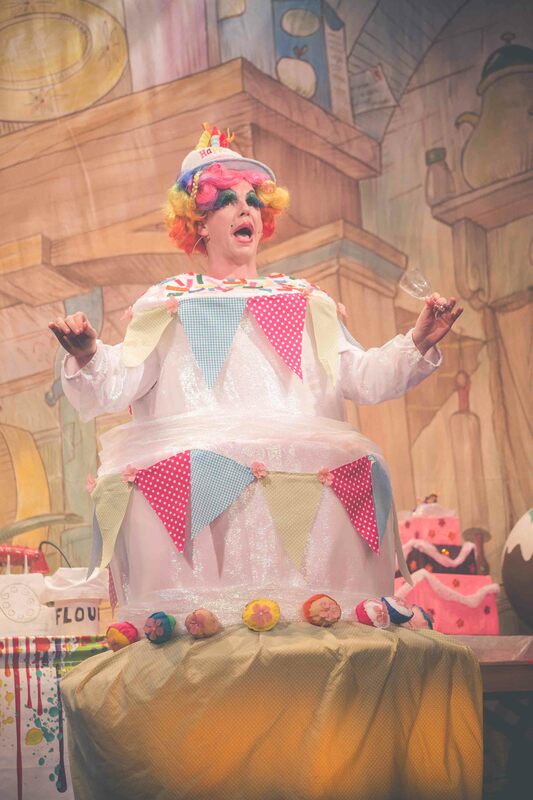 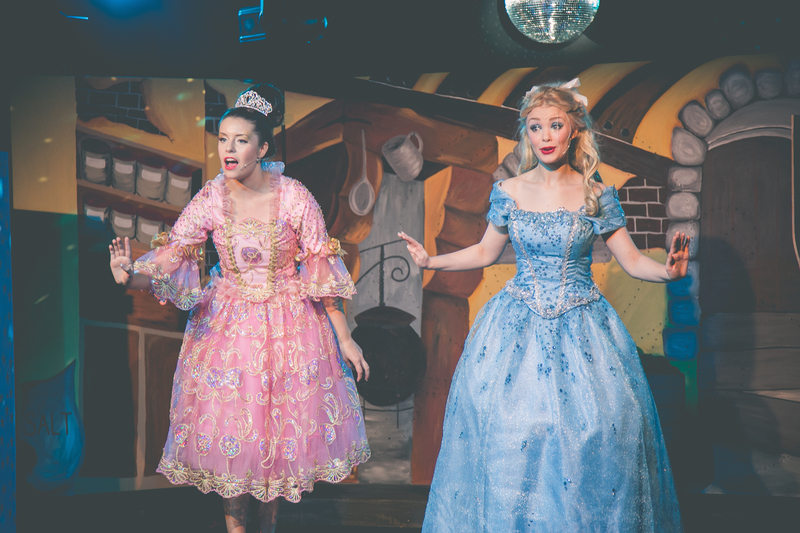 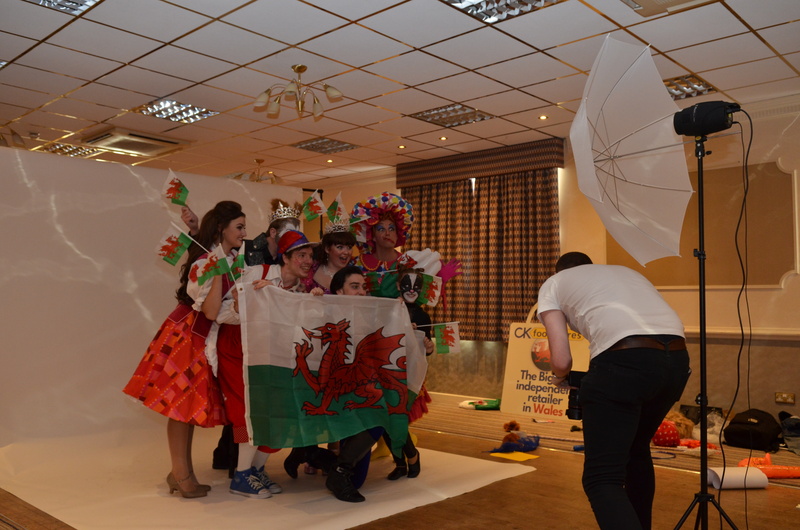 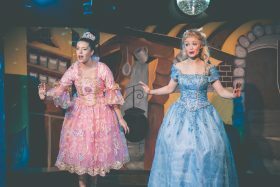 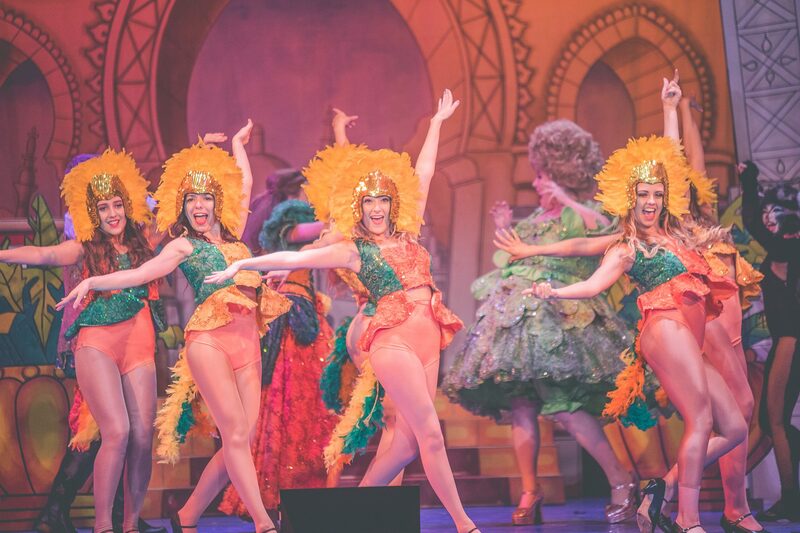 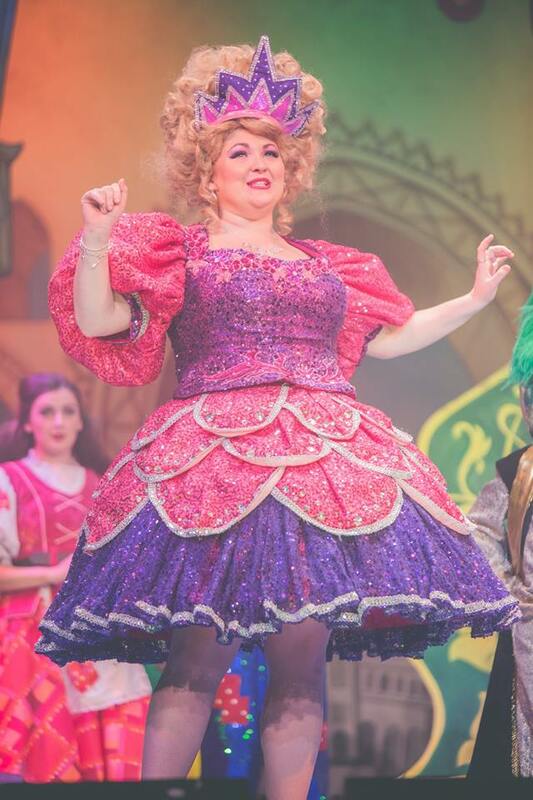 Our previous productions include Pantomime and Christmas shows at a number of South Wales Theatre Venues. 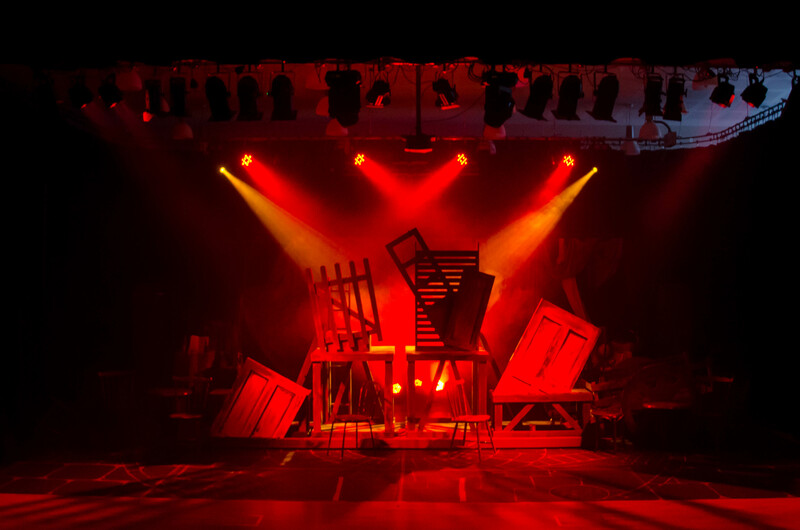 Each Production build up new audiences and followers and received excellent reviews. 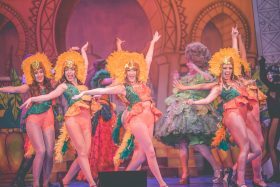 We also have a number of themed Events, Cabarets and Concerts, Murder Mystery nights all ready, rehearsed and costumed with teams of performers and technicians ready to arrive at any Theatre or Venue. We have access to an array of professional performers, sets and costumes and can tour a Company of actors, stage crew, live musicians, LX and Sound Team and backstage crew to any UK Venue. 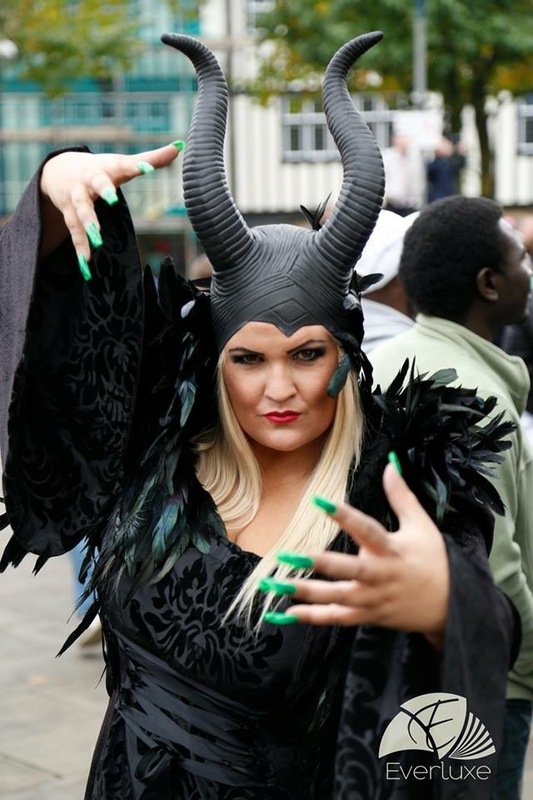 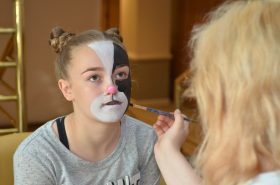 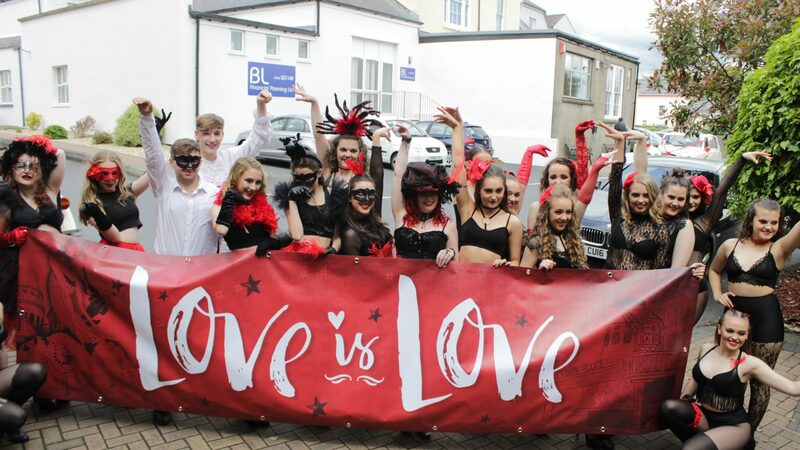 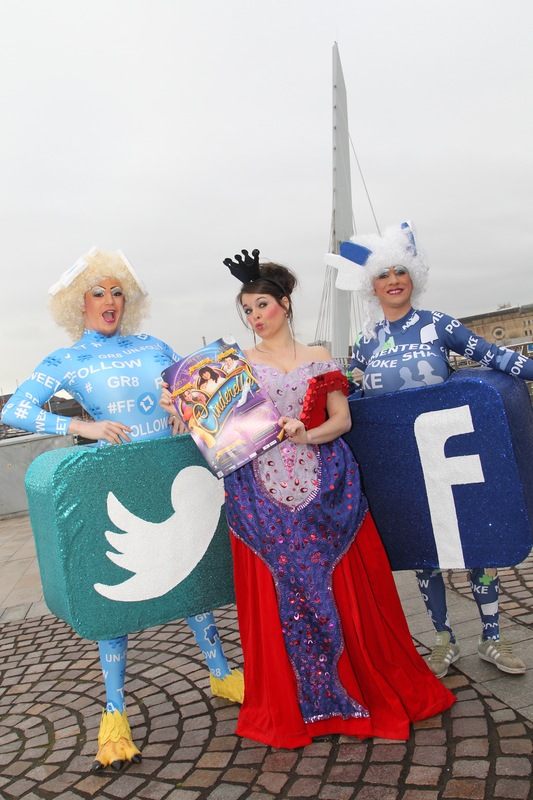 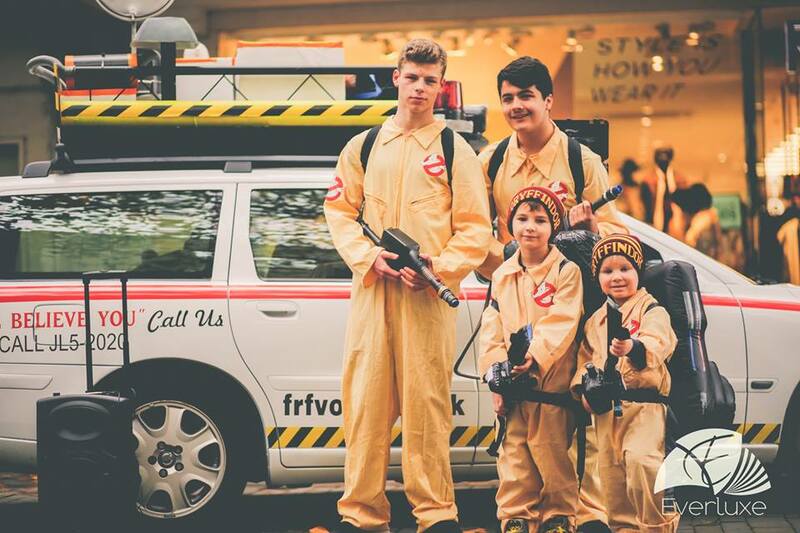 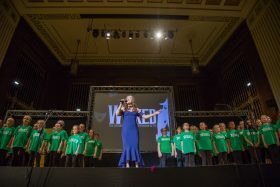 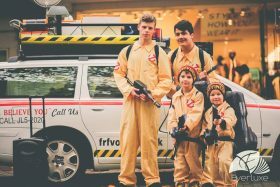 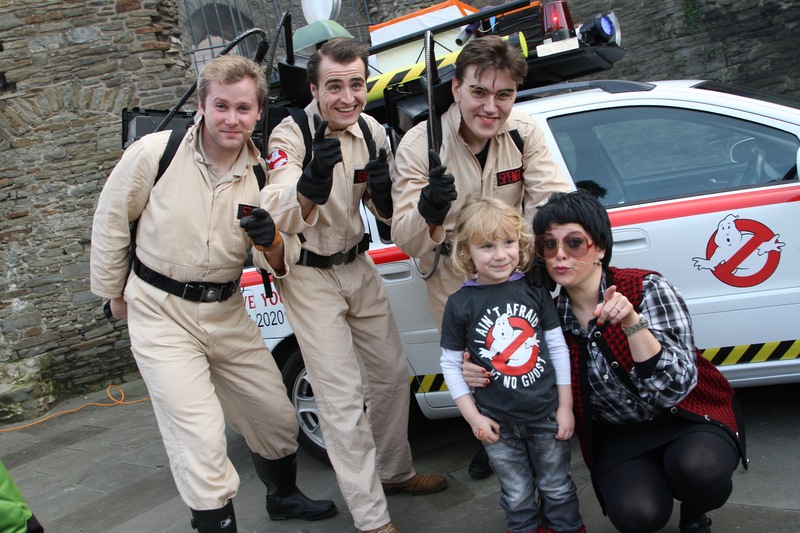 Our Event work also extends to City Centre attractions and Parades all catered to a theme with decoration, costumes, songs, and choreography to all connect to this theme. Call today to discuss your Event. 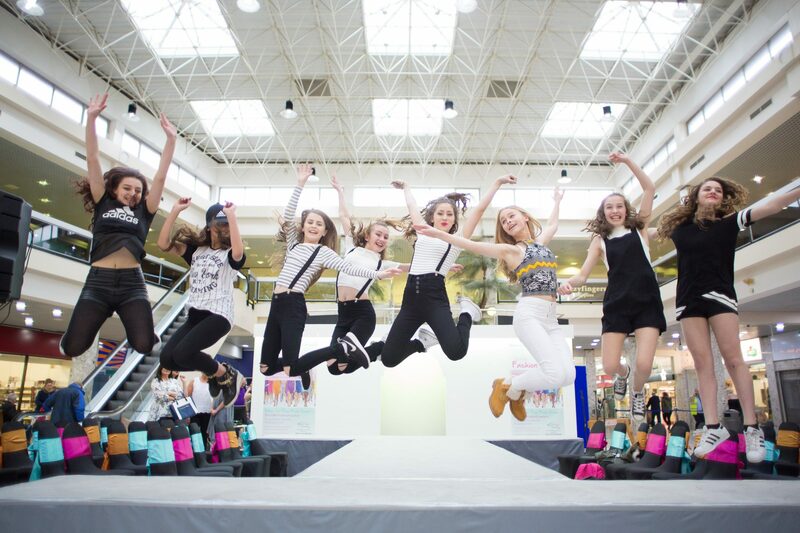 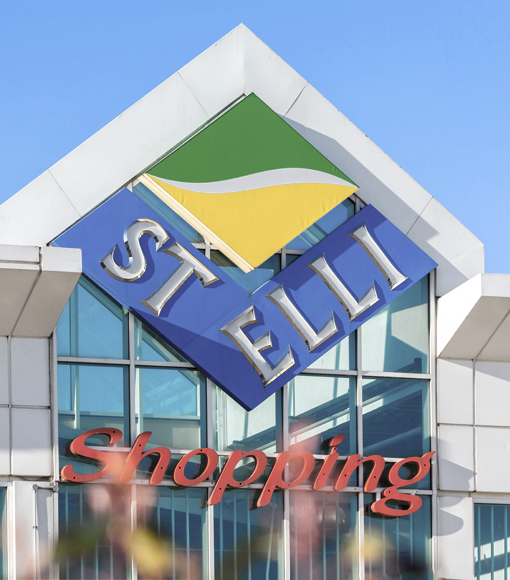 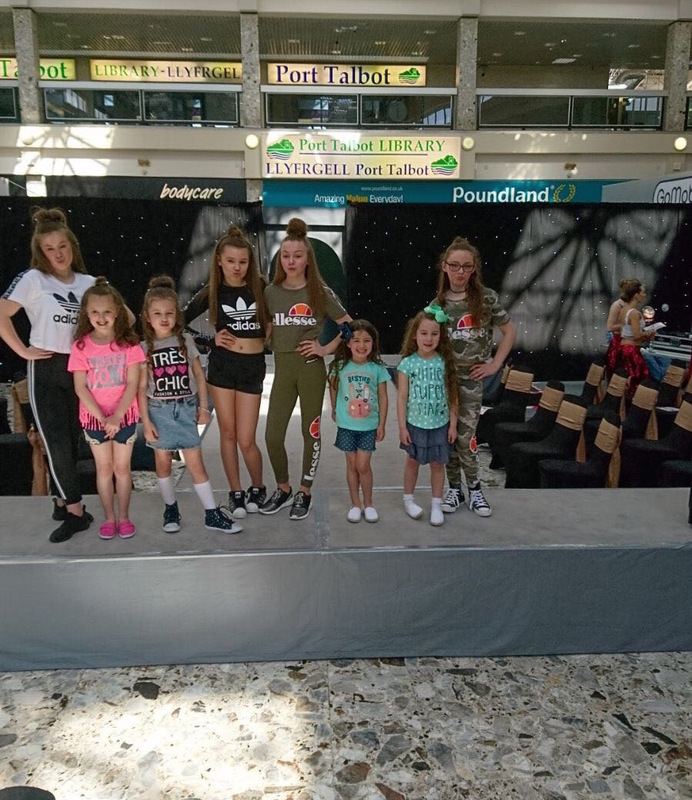 We have vast experience in organising Fashion Shows at a number of locations including pop up shows at many shopping centres. 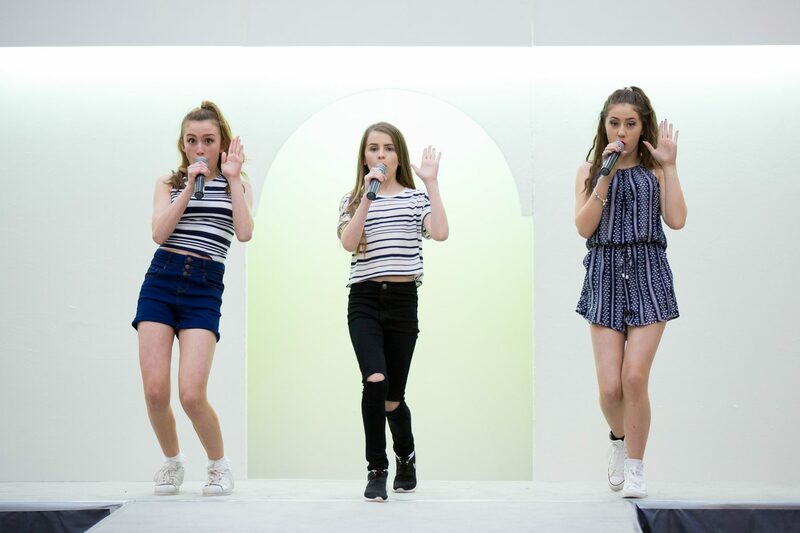 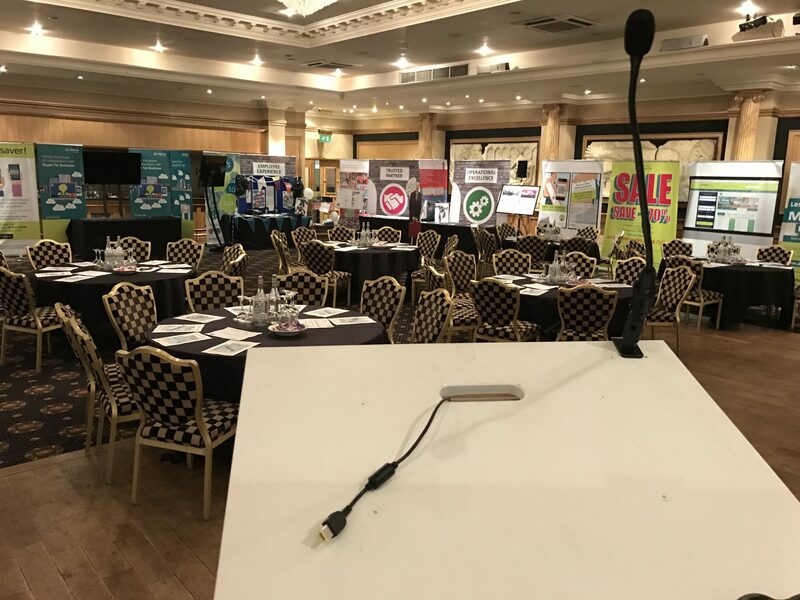 We can provide everything from the stage infrastructure, to running order, staging and choreography, professional models including Men and Child model, comperes, playlist for the show, and liaising with every supplier to showcase the best of their collections. 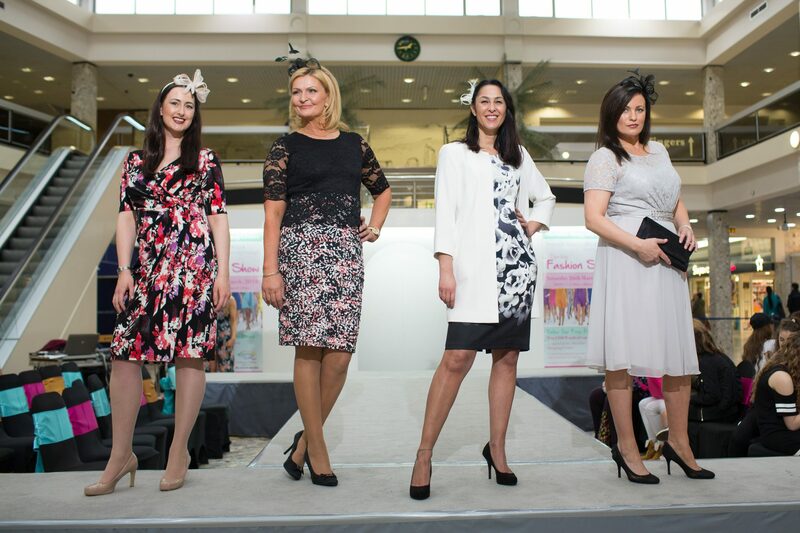 We have had incredible feedback from these fashion shows. 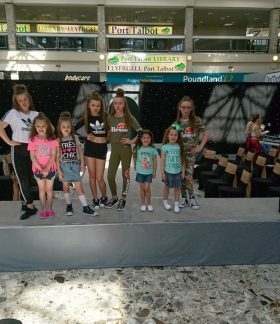 We have also supported a number of Charities in the form of Events and Concerts including Maggies Centres, Cash for Kids, and MIND, and would be honoured and pleased to support other organisations. 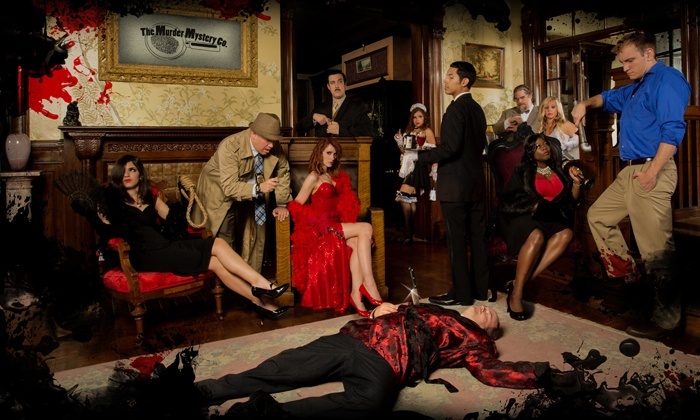 Our Murder Mystery evening package is the perfect way to step into the world of suspicion, secrecy and riddles and work out WHODUNNIT? 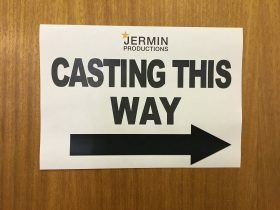 Jermin Productions have introduced the perfect immersive interactive comedy party solution which allows you put your wits against our clever killer and try to solve the crime before the clock runs out. 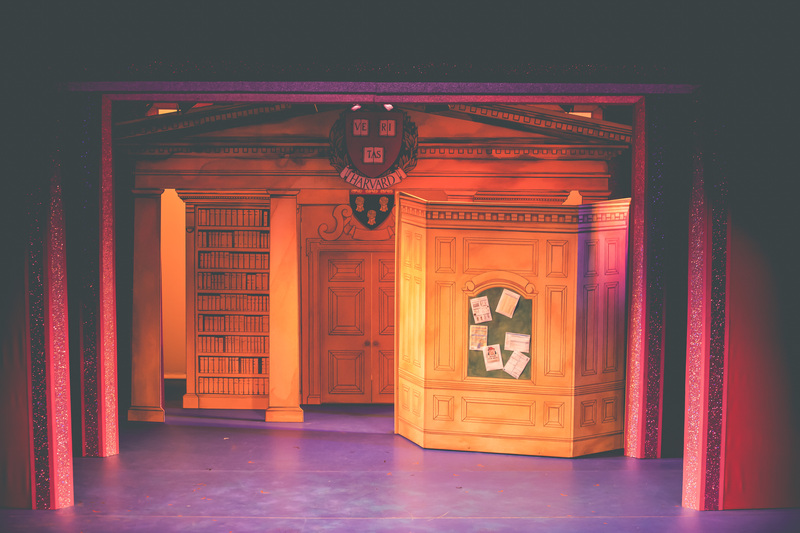 Watch as the plot unfolds in real-time throughout the evening, gather and examine clues and question the suspects. 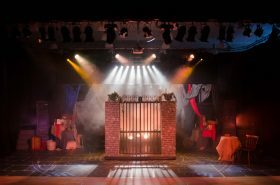 This unique experience invites you to become a part of an unrivalled selection of plots and identify the undercover murderer. 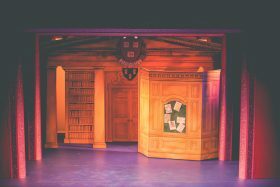 A team of highly skilled professional actors engaging in some witty and intriguing murder mystery fun will help you investigate some unusual happenings throughout the evening. 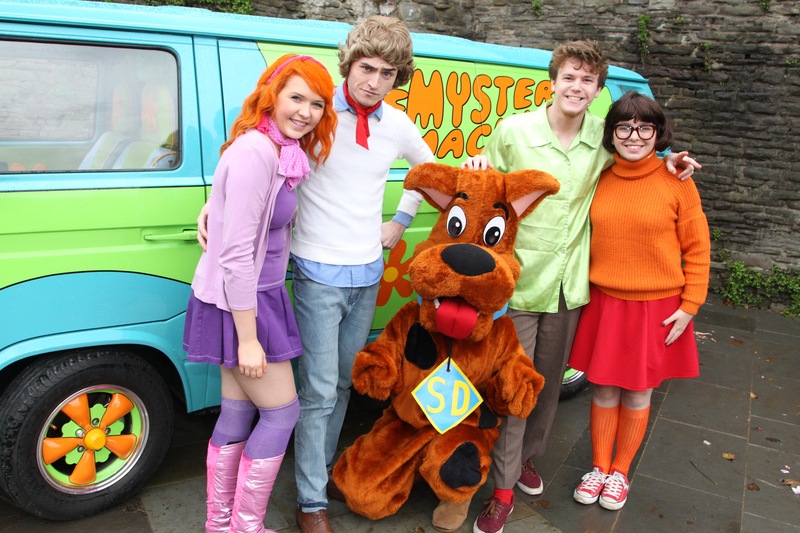 Can you solve the mystery before our detective? 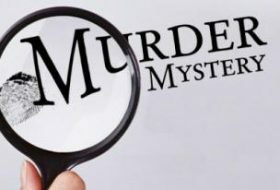 Providing high quality, interactive Murder mystery Evenings for all occasions including private functions, corporate events and business/team building evenings. We are also offering this immersive style of theatre to restaurants and hotels to team up and create a unique, exclusive dining experience. 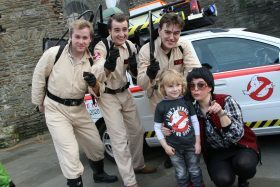 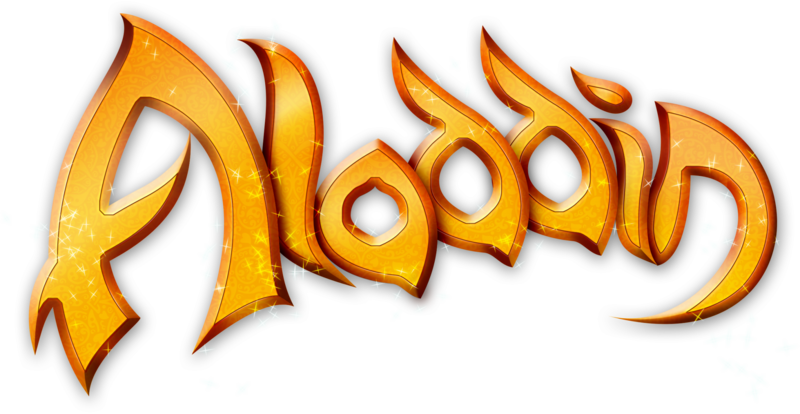 – A range of Unique, comedic Storylines and Plots are available along with themed nights on request. We have a selection of Theatre and Pantomime scripts available to hire to Companies and Schools. Our scripts can be catered and adapted for small or larger casts depending on your project or production. 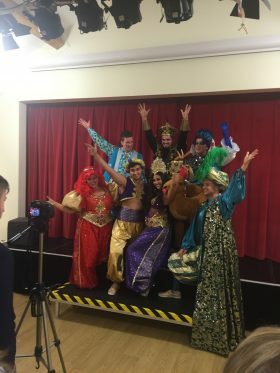 We can also collaborate with you and prepare an original script just for your production, and write specifically with you and your cast in mind to create your perfect production in a range of styles and genres. 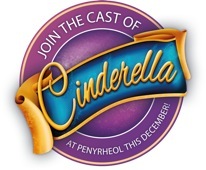 Get in touch to discuss this further. 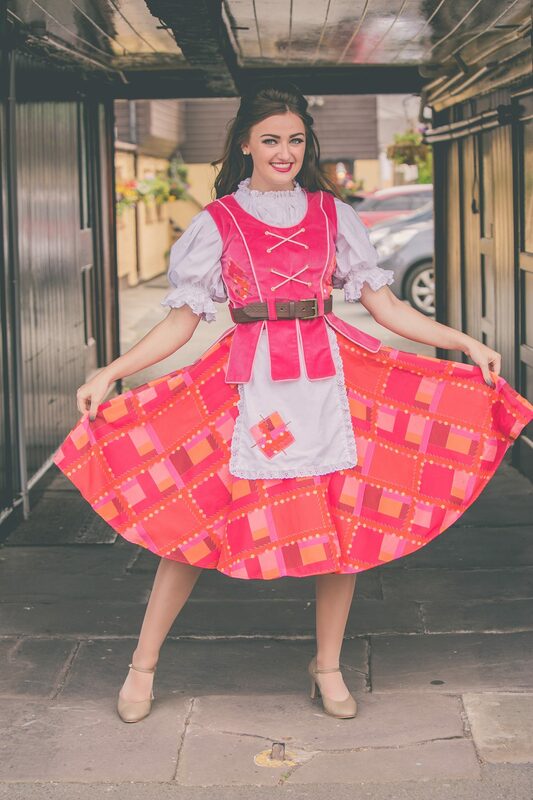 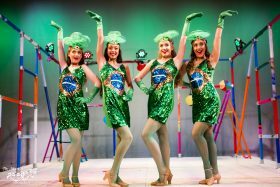 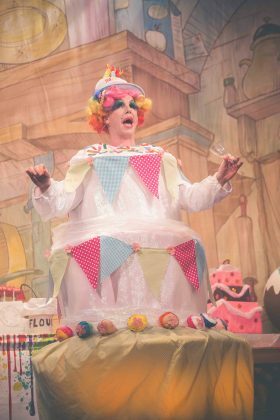 We regularly hire out a wide selection of costumes for plays, musicals and pantomimes, with a huge range of period costumes and styles from a selection of eras, as well as being able to provide footwear, under garments and headwear. 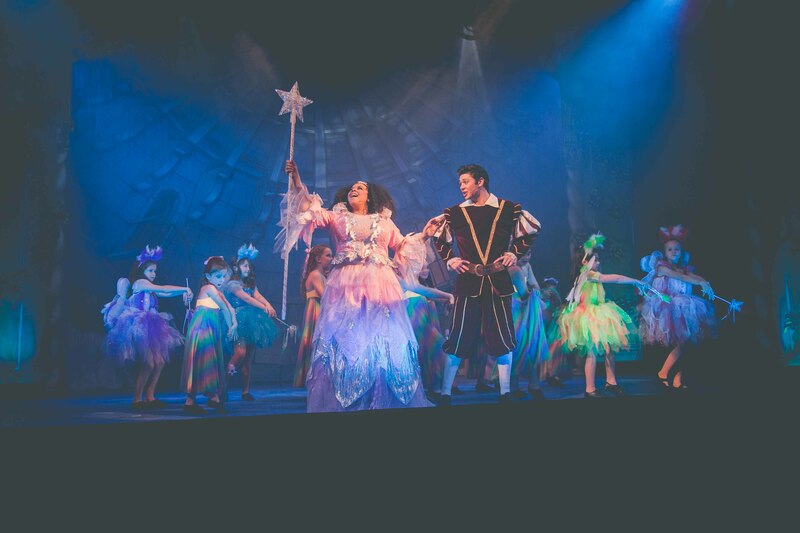 We can cater for large casts and productions as we stock many multiple items in a variety of sizes. 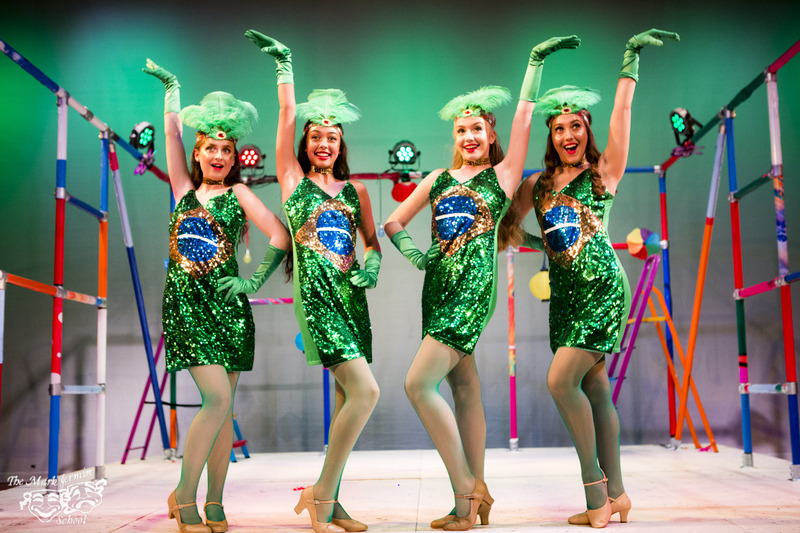 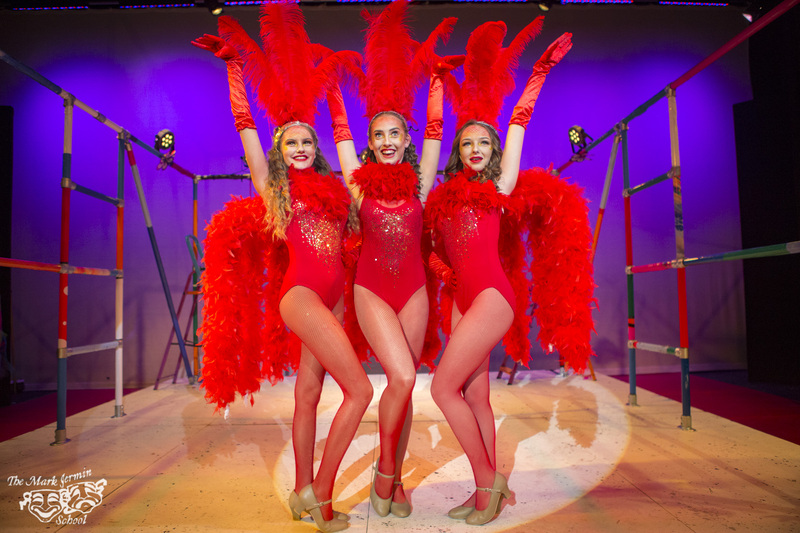 Our most popular costumes to hire out to larger casts include the Musicals: Annie, Honk, Les Miserables, Grease, Legally Blonde, Miss Saigon as well as others. 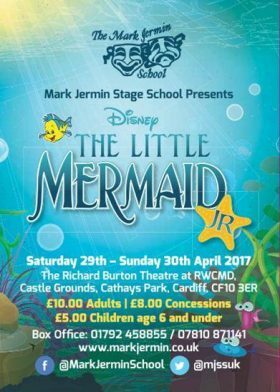 We are always restocking with more productions, so please do enquire if the production you are planning is not included in this list. 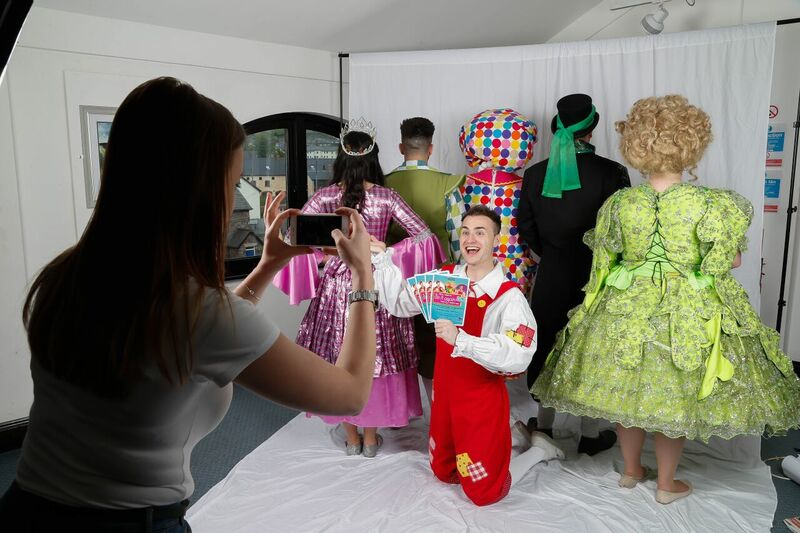 We also have more diverse and bespoke costumes available such as Pantomime Dame outfits, Cinderella transformation dress, animal mascots / furry suits along with a selection of wigs, stage make-up and accessories. 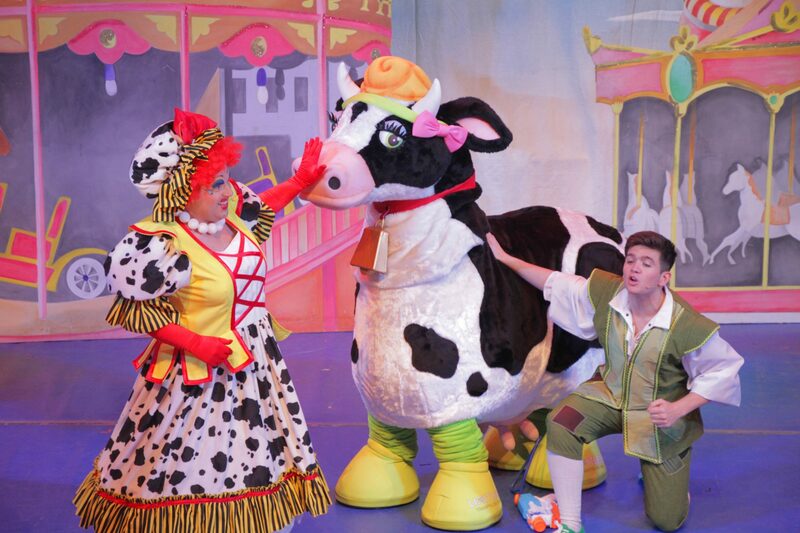 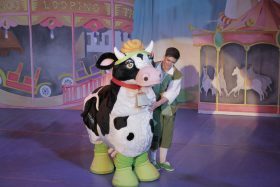 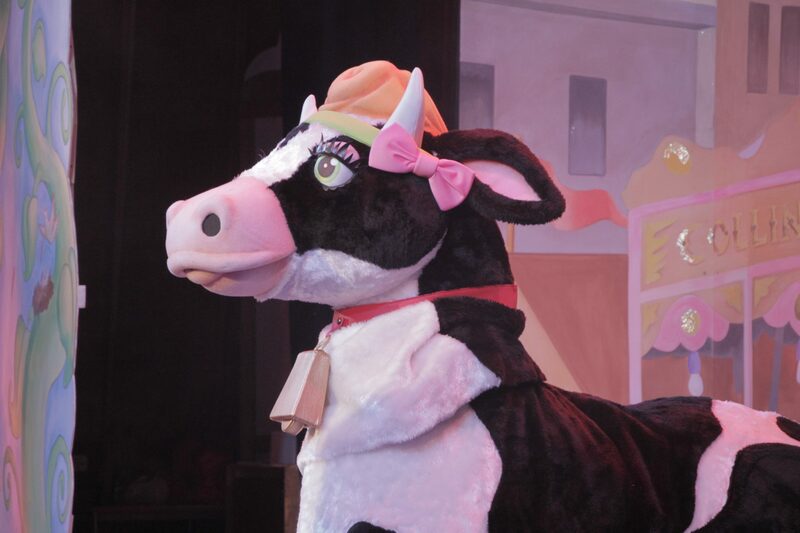 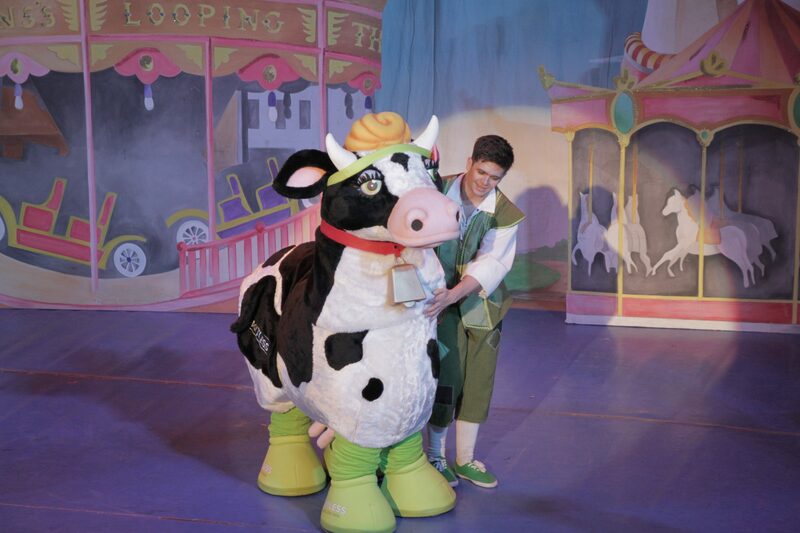 Our PANTOMIME COW costume is now available for hire for the 2019/20 Pantomime season. A viewing of available costumes can be arranged prior to your order being placed or, alternatively we can present a selection of images on request. 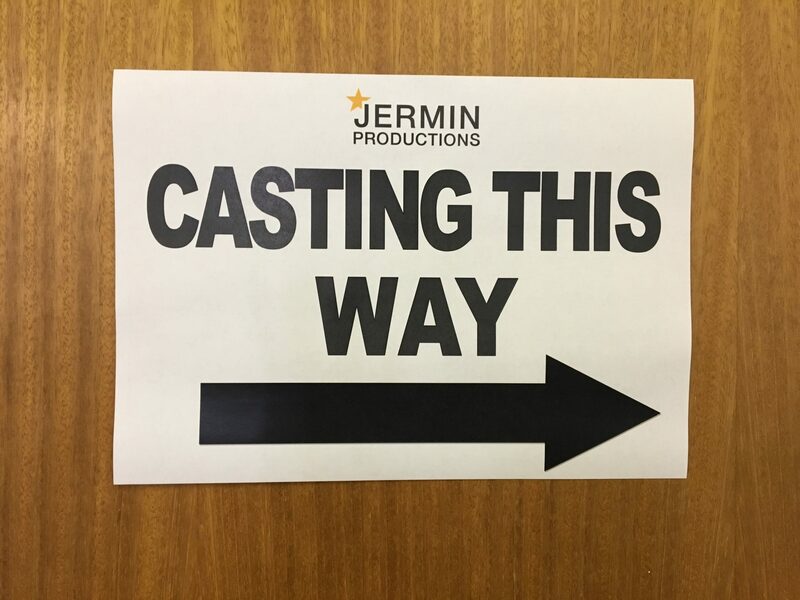 For any enquiries into our costume, set of prop hire please email enquiries@jerminproductions.co.uk with your production dates stated for availability checks.